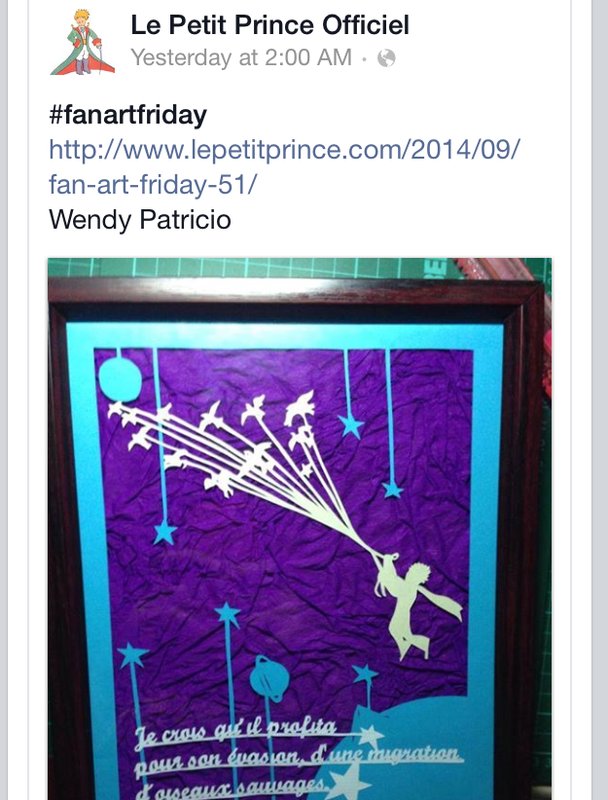 A couple of weeks ago, a friend suggested that I submit an entry to Le Petit Prince website’s Fan Art Friday. It’s basically a collection of fanmade artworks inspired by, well, The Little Prince. I thought, “Hey, why not?”. Nothing to lose with trying; so I submitted one of my works through their Facebook page. You can visit the actual website with my artwork here.